Sunset walk by a quiet lake, with the breeze blowing in your hair, hills looming in the distance, and the sky filled with silver-lined clouds as far as you can see. A wonderful ambience, and an instant pick-me-up! 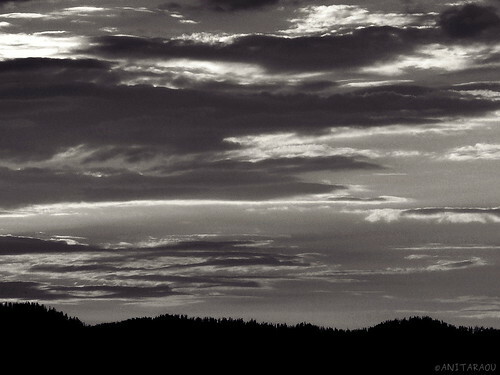 This entry was posted in Black-n-white, Light, Monochrome, Nature, Silhouettes and tagged Ambience, Clouds, DPchallenge, Hills, Lake Tahoe, Photography, Sky, Split tone, Sunset. Bookmark the permalink. I agree with everything you said, Anita. Works for me.